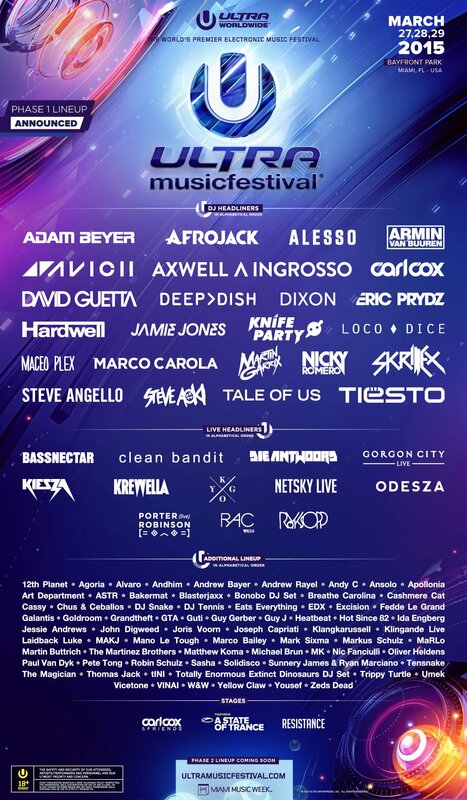 Ultra release massive Phase 1 line-up! The internet was thrown into an absolute frenzy last week when an alleged leak of Ultra Miami’s Phase 1 line-up surfaced among the multitude. Most of the folks ruled it out as they found it ‘too good to be true’. Turns out the leaked list was veritable, as Ultra’s organisers have now released its official Phase 1 line-up for the magnum opus event. Although the list is a tad amorphous, you certainly cannot deny that the artist inventory is multifarious. It comprises of a legion of mainstage headliners, namely Tiesto, Hardwell, Martin Garrix, Knife Party, Eric Prydz, Deep Dish, Armin van Buuren, Nicky Romero, Fedde Le Grand, Maceo Plex, Afrojack, Alesso, Steve Angello, Axwell Λ Ingrosso, Skrillex and Avicii, who missed last years closing set due to illness and was consequently replaced by Deadmau5. Heading over to the live acts section, we have Bassnectar, Clean Bandit, Kygo, Krewella, Netsky and Porter Robinson. As mentioned earlier, even though the line-up is a bit stacked up, theres no incertitude towards the fact that the roster is enormously incommensurable, and Ultra have left no stone unturned in ensuring that there is a sound suited for every ear at the festival. It ranges from main-stage regulars like Laidback Luke & DJ Snake to bass stalwarts like Yellow Claw and Excision. The techno-house department is adequately covered with maestro’s like Sasha and Appollonia gracing the event. Blossoming talents like Galantis, Ansolo and Cashmere Cat adding to the solidity of the walloping line-up. 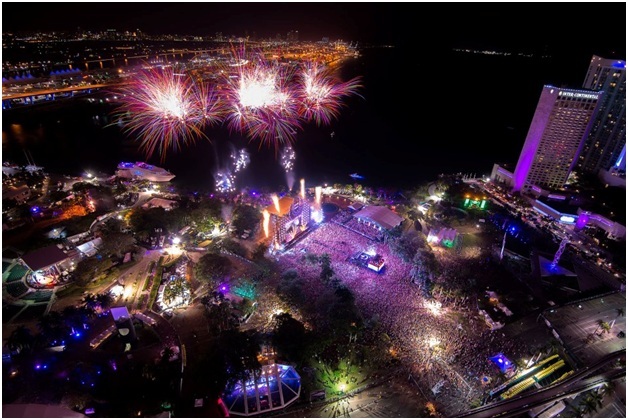 The iconic Bayfront Park situated in downtown Miami plays host to the gargantuan event again this year. Along with the grotesque line-up, Ultra have also divulged details about the first of its stages. Carl Cox & Friends will makes its return, along with Armin van Buuren’s A State Of Trance and Resistance. Make sure you have a look at the stimulating 2015 preview of the festival below. If at all you decide to make the excursion to Miami, you can grab tickets here.If at all you decide to make the excursion to Miami, you can grab tickets here.